Spring cleaning should include a home insurance check | Lewis & Ellis Inc.
Spring is officially here, even if the weather in some parts of the country doesn't necessarily reflect that fact. With that in mind, many consumers may soon go about some regular spring cleaning and home maintenance, and experts say homeowners would be wise to include a careful look at their home insurance needs at this time of year. After all, spring is a time when the weather can be a bit severe in a way that's quite different from bitter temperatures, snow and ice, according to the Atlanta Journal Constitution. Winds can start to pick up when spring arrives, and other climate conditions can make for quite damaging storms that bring hail, heavy rains and, potentially, flooding as well. Unfortunately, because of the damage sometimes involved with these conditions, the cost of home repairs can be significant, and it's therefore vital for owners to make sure they're in a good position with their home insurance providers, lest they find themselves in difficult situations when their homes are damaged, the report said. This kind of verification effort should probably involve calling an insurance agent to verify whether everything with a home insurance policy is as it should be, or if it needs to be altered in some way to make it more comprehensive. When consumers face higher risks for specific types of weather issues, there may be steps they can take to lessen those concerns, such as installing more safety measures for their properties, the report said. In a lot of cases, that can result in lowered home insurance premiums, and sometimes insurers will even help homeowners cover the costs associated with these home improvements as long as owners keep their receipts. 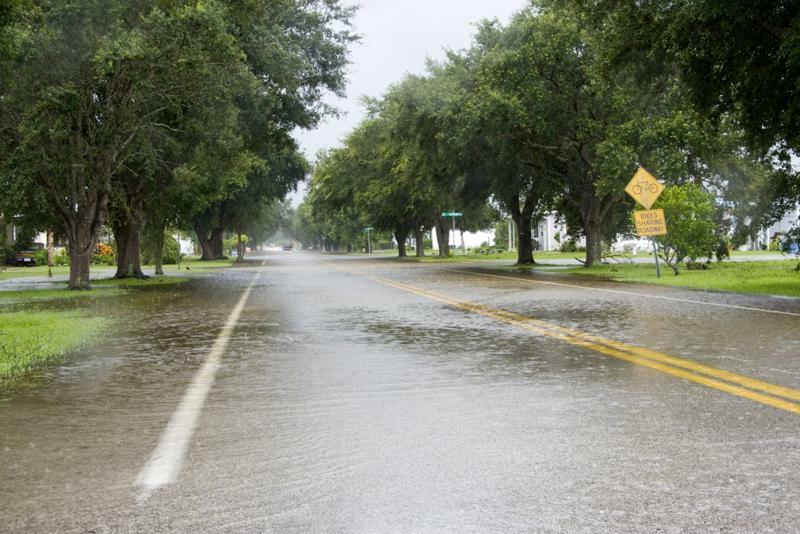 Flooding risk can be a serious concern for homeowners. Meanwhile, homeowners whose properties face a flood risk also need to understand that their standard home insurance policies will not cover flooding damage of any kind, according to CNBC. Instead, they will have to take out a separate policy with the National Flood Insurance Program, which may be expensive but will also cover a lot of costs that would otherwise be left entirely on the homeowner if flooding were to arrive. In addition, it's vital for homeowners who think they may be at increased risk for flooding damage to make sure they are fully covered before a big weather event endangers their properties, the report said. Often, much like other types of insurance, NFIP coverage will need to be in place for at least a month before claims can be made on the policy. "If the thought enters your mind now that you may need to coverage, pay attention," said Lynne McChristian, a spokeswoman for the Insurance Information Institute, told the network. "Many people still do not understand to this day that the standard homeowners coverage does not include flood. You cannot wait until the creeks rise to get this coverage." Meanwhile, some parts of the country are seeing a different type of risk arise with the warmer weather arriving, according to News 4 Jacksonville. Termites are becoming a bigger problem in southern states, causing some $5 billion in property damage each year, with these costs typically not being covered by standard home insurance. There may be insurance options available to consumers who face this risk, but it nonetheless important for owners to keep an eye out for warning signs and clear their properties of anything that might attract termites, such as firewood, mulch and standing water, the report said. It may also be important for them to have an annual termite inspection as part of their regular spring cleaning routines, just to make sure they're not at risk. The problem for many consumers at this time of year is that they often don't think to get in touch with an insurer about these issues, and may not know the risks they and their properties face in the event that a major weather event damages their homes. To that end, it may be vital for insurers and agents to make sure they're being a little more proactive about reaching out to clients and ensuring they understand what might be required of them. In many parts of the Upper Midwest, temperatures in recent weeks have repeatedly dipped and held below zero. Across the country, the harsher weather and natural disasters that bring with them significant damage and danger for homeowners have been increasing in intensity for some time. One of the biggest issues in almost every aspect of the insurance industry is that consumers often don't fully understand the coverage they pay for every month.